Oceania Gymnastics’ strategic priorities and targets have been set for the 2017-2020 Olympic cycle. 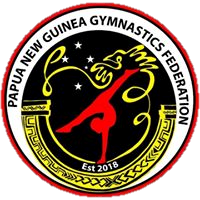 Transformational Strategy – Develop and promote gymnastics by breaking down the misconceptions and advocating the benefits of gymnastics as the fundamental movement program; an essential life skill for a child’s development which will increase the reach and participation of gymnastics in Oceania. Grow participation levels of gymnastics in Oceania. Target and develop new countries. Build the brand, and profile the physical and health benefits of gymnastics to the Oceania community and key stakeholders. Transformational Strategy – Build the workforce capacity and capabilities for Gymnastics with enhanced educational opportunities by embracing new technologies that support the National Federations. Develop and deliver an educational framework and pathway for coaches and judges in Oceania that builds capacity and capability. Transformational Strategy – Develop the delivery of all gymnastics disciplines through clearly defined pathways and programs for athletes through an Oceania event strategy. Develop an event strategy that culminates in an Oceania Championships. Develop pathways that enable international representation at key events of athletes from the emerging countries. Transformational Strategy – Develop stable, sustainable and effective governance throughout the Oceania that builds partnerships and funding opportunities. Build the capacity and capabilities of gymnastics in Oceania to attract and leverage funding opportunities. Develop stable, effective and sustainable governance in the OGU and national federations.